The automotive industry and Parliamentarians convened today in Westminster to debate the development and production of low carbon technologies, their role in driving innovation and growth and the work being carried out by the automotive industry to support UK government’s ambition to become a market leader in the low carbon economy. 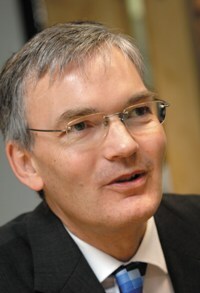 The All-Party Parliamentary Motor Group (APMG), of which the Society of Motor Manufacturers and Traders (SMMT) is joint secretariat, comprises members from both Houses of Parliament and today will debate the Automotive Council’s technology roadmap and the role of the UK in developing ultra-low carbon vehicles with industry representatives. Professor Neville Jackson, Chief Technology and Innovation Officer at Ricardo, Chairman of LowCVP and a member of the Automotive Council’s Technology Group, was invited to speak to APMG and share some of the work being carried out at Ricardo’s UK-based technical centres. APMG was re-formed following the May 2010 General Election and is open to members from both Houses of Parliament. It provides a forum to discuss general motoring issues and those relating to the industries of automotive engineering and motorsport. The Society of Motor Manufacturers and Traders (SMMT), the RAC Foundation and the Motorsport Industry Association are the joint-secretariat of the group.